Yet cuts on the scale Mr. Obama is calling for — a 30 percent reduction in emissions from the nation’s electricity industry by 2030 — have already been accomplished in parts of the country. At least 10 states cut their emissions by that amount or more between 2005 and 2012, and several other states were well on their way, almost two decades before Mr. Obama’s clock for the nation runs out. That does not mean these states are off the hook under the Obama plan unveiled this week — they will probably be expected to cut more to help achieve the overall national goal — but their strides so far have not brought economic ruin. In New England, a region that has made some of the biggest cuts in emissions, residential electricity bills fell 7 percent from 2005 to 2012, adjusted for inflation. And economic growth in the region ran slightly ahead of the national average. “This is not going to be the Armageddon that some people think,” said Teresa Marks, director of the Arkansas Department of Environmental Quality. In fact, with years left to reach Mr. Obama’s goal, and many states already heading in that direction, some of the loudest attacks on the plan are coming from those who contend it is not ambitious enough. The Obama administration’s plan is not expected to become final until next year. Once it does, intense political and legal opposition is likely to follow, especially from the coal industry and from states run by Republican governors and legislators. But even in states that have made big cuts, the Obama plan is provoking some wariness, with officials there pointing out that the plan would saddle them with stringent targets requiring them to go further. Yet many of the states that are most dependent on coal — and have made the least effort to cut greenhouse gases — were given only moderate targets. “Just because we’ve led in this effort doesn’t mean we should have to do as much or even more than states that haven’t even started,” said Larry Wolk, executive director of the Department of Public Health and Environment in Colorado. The administration argues that some of the most coal-dependent states have fewer options, especially a shortage of power plants that use natural gas and can help displace coal. As for the states that have already made headway, “we were asking states to continue doing what they were already doing,” said Joseph Goffman, senior counsel in the Office of Air and Radiation at the Environmental Protection Agency. Willingness aside, some states are simply unsure how they will meet Mr. Obama’s targets. South Carolina, for instance, was assigned a steep carbon-reduction goal. But officials of Santee Cooper, the state-owned utility that is South Carolina’s largest power supplier, say the options to meet it are limited. Natural gas supplies are constrained by a dearth of pipelines, and the wind turbines that are rapidly sprouting elsewhere are not practical because of the state’s placid weather, said Mollie Gore, the utility’s spokeswoman. “This will hurt South Carolina because it will drive up power costs and send industries packing — it’ll cost jobs,” she said. Opponents attacked Mr. Obama’s plan in vociferous terms this week, with the claim about Americans “freezing in the dark” coming from Joseph Bast, president of the Heartland Institute, a Chicago organization that is skeptical of climate change. But more optimistic assessments of the plan came from utility executives and many state officers who would have to carry it out. Some independent energy experts said that electricity prices may rise by a few percentage points in some states, but even that is not a foregone conclusion. “I predict this will be far easier and far faster and far cheaper than most people realize,” said Hal Harvey, chief executive of Energy Innovation, a research group. That has allowed them to dial down coal-burning power plants and dial up gas-fired plants, which emit roughly half as much carbon dioxide as coal plants, per unit of electricity produced. Through a program called cap and trade, the Northeastern states also impose a small price on emissions of carbon dioxide from power generation, and plow the proceeds back into energy-efficiency programs, such as retrofitting homes and businesses, lowering electricity bills. And the states have encouraged the growth of emissions-free renewable power and more judicious use of energy. 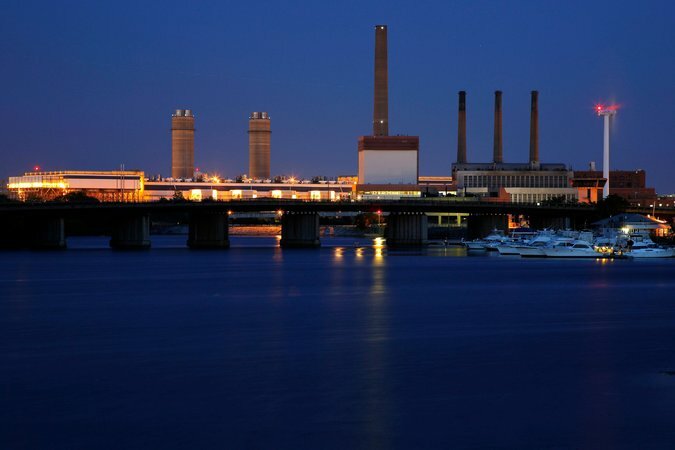 David W. Cash, the Massachusetts commissioner of environmental protection, said he saw a direct link between the state’s above-average economic performance in recent years and lower energy bills for businesses and consumers. “Every dollar they’re not spending on coal that comes from Colombia or natural gas that comes from Pennsylvania is a dollar that stays here in Massachusetts,” Mr. Cash said. Beyond the complaints about fairness, experts said the Obama plan posed both economic and environmental risks. It is likely to lock in a growing dependence on natural gas to generate electricity. In the past, gas prices have been more volatile than coal prices, and in theory, a supply shortage in the future could send prices of gas and of electricity soaring. But some people in the natural gas industry are skeptical about major price increases for gas in the future, because of the recent spread of hydraulic fracturing technology, or fracking, which has made vast new supplies of gas accessible across the country. “We have supply waiting in the wings for any kind of incremental demand,” said Chris Faulkner, chief executive of Breitling Energy Corporation, a Texas oil and gas company. Because it depends on a continued abundance of gas, the Obama plan effectively puts the administration on the side of increased fracking, which has provoked intense debate in many communities affected by the stepped-up drilling. But the larger environmental risk with the Obama plan, some argue, is that it simply will not do much to slow global warming. Climate scientists say that emissions in the developed countries need to fall 80 percent or more by 2050 if global warming is to be held to tolerable levels. Mr. Obama’s draft plan does not put the United States on a trajectory that would make such a huge cut likely to be achieved.